August 12, 1977 – This week in Space History marks the first free flight of the first Space Shuttle – Enterprise. Astronauts Fred Haise and Gordon Fullerton were the first to fly a shuttle as part of the Approach and Landing Test (ALT) phase of shuttle development. The Shuttle Carrier Aircraft (a modified 747) lifted that first Space Shuttle Enterprise to an altitude of 24,100 feet, then released it. After a 5 minute and 21 second unpowered glide, pilots Fred Haise and Gordon Fullerton landed Enterprise in a dry lake bed at Edwards Air Force Base in California. 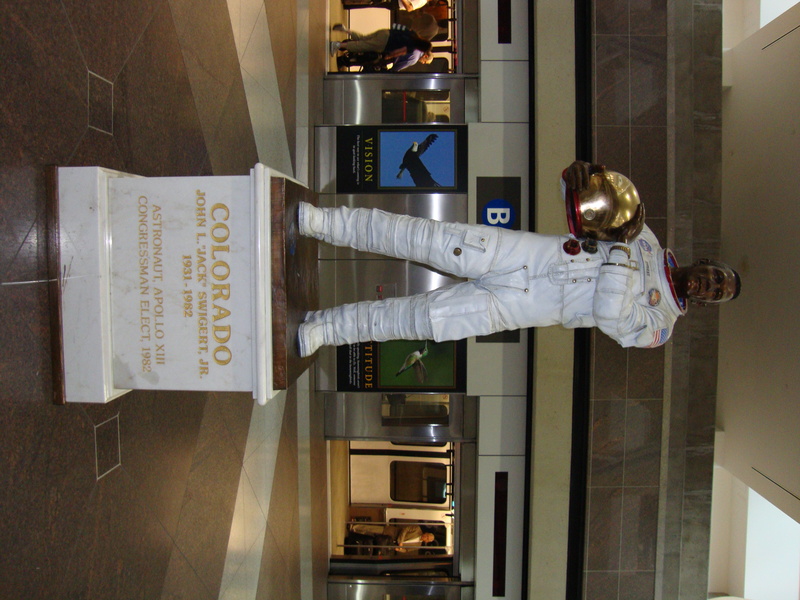 By the time of the ALT flights of the Shuttle Enterprise, Fred Haise was already well-known as the Lunar Module Pilot of the famous Apollo 13 mission (a statue of Fred Haise’s Command Module pilot at left – Jack Swigert). The other Enterprise pilot, Gordon Fullerton, was later pilot of the Columbia mission STS-3 in 1982, which was the first mission to use the Canadian-built Remote Manipulator System (the grappling arm used to manipulate satellites and payloads in the shuttle bay), and the only shuttle mission to land at White Sands, New Mexico (due to weather problems at the Cape and Edwards AFB). Fullerton also commanded the 1985 Challenger STS-51-F Spacelab 2 mission. People are often surprised to discover that the first shuttle was Enterprise. Most people believe that the Columbia was the first Space Shuttle, remembering when in 1981 astronauts Young and Crippen piloted Columbia into space for the first orbital shuttle flight. But the very first Space Shuttle was Enterprise, and that leads us to an interesting Space Race Leadership lesson. Since the first Space Shuttle was to be completed in 1976 (the U.S. bicentennial year), it was originally supposed to be named Constitution. A group of Star Trek fans lobbied to have the first Shuttle named after the fictional Starship Enterprise from the TV show. This is an interesting example of the first of the Space Race Leadership Lesson: Vision. Now I don’t fault the Star Trek fans for wanting to honor their favorite show. They wanted the first shuttle to commemorate the USS Enterprise – the starship that boldly went where no man had gone before. I’ll bet they never dreamed that the first Space Shuttle would never actually fly into space – but that’s what they asked for: that the first shuttle would carry the name of their beloved starship. On October 26, 1977, after only five drops from the 747 carrier aircraft, the Space Shuttle Enterprise’s ALT mission was over, and Enterprise would never freefly again – it was only used for fit checks (including a fit-check at the never-used West Coast Shuttle Launch Site at Space Launch Complex 6 at Vandenberg Air For Base) and was finally placed on display at the Smithsonian Hazy Center. The Star Trek fans got what they asked for, but not exactly what they wanted. Two key aspects of having a vision were forgotten in this case. First, the vision must be specific – knowing what you really want. Second, to be compelling a vision must answer the question “why.” In 1961 President Kennedy did a masterful job in casting the vision to go to the Moon (read about that in one of my earlier posts, “What would Kennedy Do“). The vision to name the first Shuttle “Enterprise” did not. Both visions were successful to an extent, but which vision should be our example? And what’s the lesson we should learn from the “vision” of wanting the first Shuttle to be named Enterprise? Is it “Be careful what you ask for?” Perhaps. Is it that a vision should have a compelling reason “why?” Certainly. Is it to know the result that you really want? Most definitely. 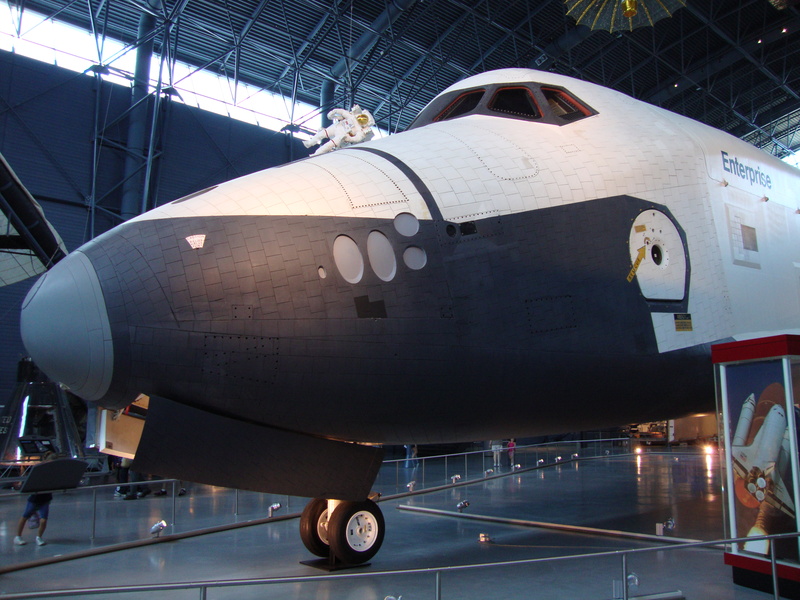 The photos of Enterprise at the Smithsonian Hazy Center were taken by me personally during a recent business trip to that museum. Please see more Smithsonian photos from that trip on the Space Shuttle Commemorative Coin project Facebook site. This entry was posted in Leadership lessons from the Space Race, NASA Space Shuttle and tagged business, leadership, management, moon, motivation, NASA, space race, Space Shuttle. Bookmark the permalink. 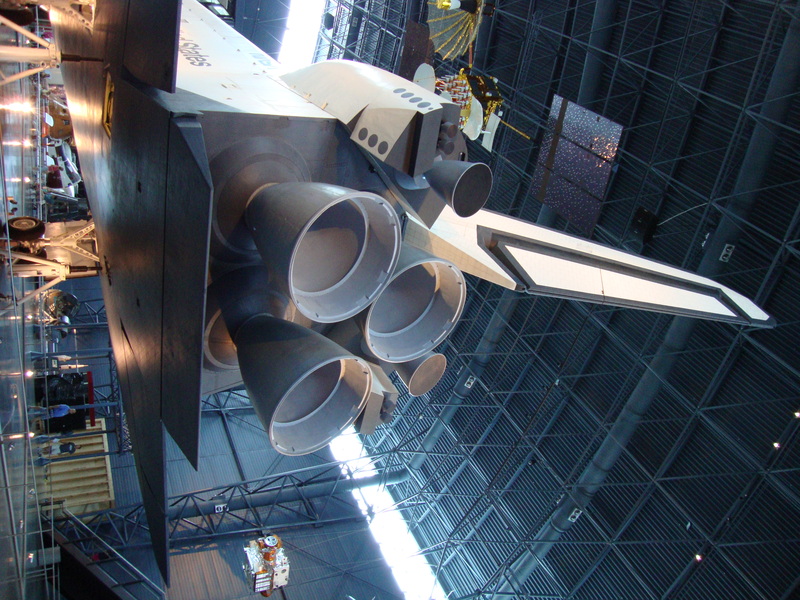 1 Response to Space History – Can You Name the 1st Space Shuttle?